Embrace an all-natural, organic life for you and your baby. Let Love Yoga Baby help you and your little one live a fulfilled, happy, natural life. Be inspired by everything around you; enjoy every minute of your day and bond with your family in a whole new way. Live and breathe the natural lifestyle with Love Yoga Baby. Our selection of yoga and baby essentials has become incredibly popular with those who want the best for themselves and their baby. Our products are 100% natural and are designed to not only feel good, but to look good too. Love Yoga Baby believes that living the natural way is the right way, and we don’t need any additives in our lives. We are passionate about getting on our mat and having time to practice, but we also know that raising a family can be hard work. That’s why we have taken the hassle out of finding natural baby and yoga essentials. We’ve used our years of experience to create a store that caters to everyone’s needs, whether you are a new mom, a new yogi, or simply someone who wants to embrace the more natural way of living. A healthy start is a head start and active moms know that Love Yoga Baby has their best interests at heart. We put family first, and fitness right behind that, and with us you have the chance to enjoy both. Living the natural way has oodles of benefits, and as a mom, you can enjoy all the advantages of a healthy lifestyle. You can start your baby off on the right path too, and give them the best start in life with products that are designed to enhance rather than harm. Harsh chemicals, synthetic fibres and non-breathable fabrics have no place in our lives, and by embracing what nature has to offer we can eliminate the discomfort caused by products that shouldn’t be near our skin. Bamboo, cork and cotton feature heavily in our ranges and all our apparel, accessories and babywear is of the finest quality. We understand the benefits of natural yoga products more than most, and whether its eking out every bit of relaxation and meditation during Savasana or stretching your muscles in Vinyasa, comfort and concentration is key. That’s why our range of Yoga products are all made of natural fibres that breathe as you do, and let you focus on enjoying your practice. 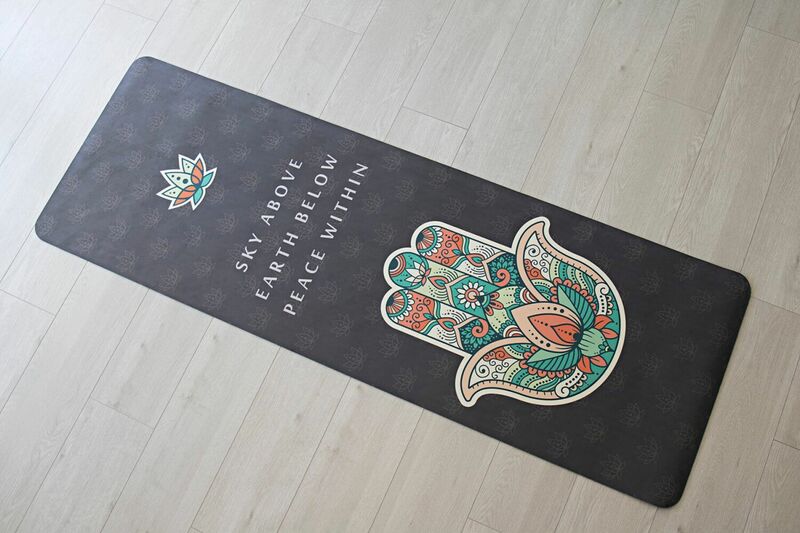 They also make practice easy, and our non-slip natural mats will ensure you always excel, in every pose. Your little one will turn your world upside down in all the right ways, and giving them the best start by embracing a natural way of life is a wonderful gift. Our natural, organic bamboo baby essentials are designed to fit in with your lifestyle, and our swaddles, bibs and burp cloths are not only beautiful, they are made from natural fibres too. This reduces the chances of your baby developing any sort of allergic reaction or sensitivity, and keeps them comfy all day. Embrace an all-natural, organic yoga life for you and your baby. Join the Love Yoga Baby family on a journey that’s all about looking and feeling good. Namaste!